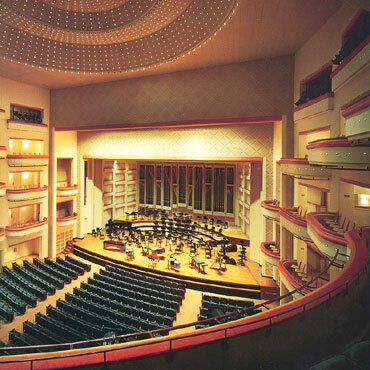 The Blumenthal Performing Arts Center was opened in 1992, and is located in Charlotte, North Carolina. It is named in honor of the people of the state of North Carolina, and the Blumenthal Foundation, which was established by I.D Blumenthal of RSC Brands, the largest private donor to the capital campaign. With the idea for the project springing forth in the 70s, action for its development took place in the 80s, with $15 million donated from the state of North Carolina, the approval of a $15 million bond by the people of Charlotte and another $32 million given by individual people, foundations, and corporations. Total construction for the Blumenthal Center cost well over over $62 million. In 1987, the Belk Brothers donated a piece of land for the building of the new theatre complex – resulting in the Belk Theatre being named after them. The Belk Theatre is one of four theatres physically part of the Blumenthal Performing Arts Center alongside the Belk Theater, Booth Playhouse, and Stage Door Theater, with a further two theatres under the Bluthemal Center company.